We continuously refine and add new features to our websites. See our blog posts below. We’re really excited about our new feature for you! We know it can be a struggle to get all the crucial information for your website when meeting with a seller, so we’ve put together a complete checklist to help prompt you. Instead of any back and forth that might happen after forgetting to ask a critical question, this will help you be organised, professional and get everything you need to put the property onto the website as fast as possible. In your Admin Console you can now download a Property Capture Sheet - all the information you will need to add a property to your website is on it. Simply print this sheet and take it with you to fill out new property details when you meet a seller. Then when you get back to the office, no one will ever have to phone the seller with an apology about missing information, the property can just be added to your website straight away. Enjoy and please let us know how this works for you - we’d love your feedback. Which of your properties are most popular? Have ever wondered which of your properties attract the most attention? Your stats page will now be able to show you. This information is a great starting point to help you analyse why these properties are the most popular. Are the photos perhaps better than other listings? Is it particularly good value for money? Or is it just the most desirable area? Could you improve your other listings with this information? We’d be interested to know your views. Why not send us your conclusions. Take a look at the number of visitors for each property that has been viewed in the month. 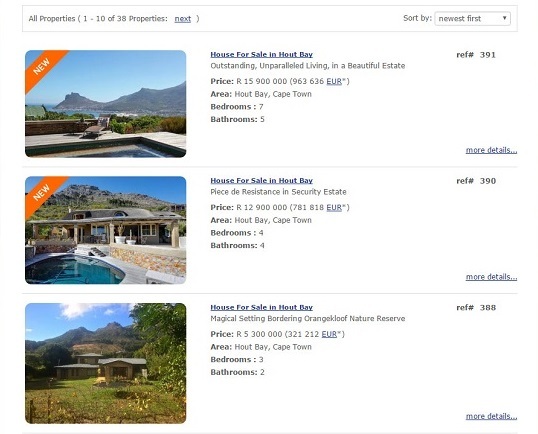 If you click on one of the property URL’s then that property will open up in a new window, giving you the perfect opportunity to start looking at what makes the property popular. Enjoy and please feel free to contact us with any questions. 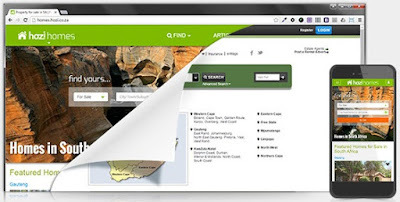 We’re excited to tell you about web-box’s new feed to RentBay. It’s completely free and sponsored by the well known TPN Credit Bureau. They list long term rentals for residential, commercial and industrial properties. Not many sites list commercial properties so this is excellent news. This feed is already up and running in your admin console - Enjoy! We don’t want you missing out on a single possible lead, so we’ve made it super easy for buyers to contact you with just 1 click. Now anyone visiting your site can message you immediately and easily and stay focused on your properties! They will simply click on your details and a form will pop up as shown below. We have also brought in incredibly clever software developed by Google to make sure all enquiries come from actual people, not spam enquirers. These buyers will automatically get added to your subscriber list too, helping you grow your all-important database. 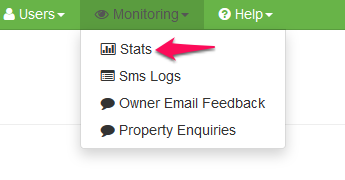 In addition to an email being sent to the agent directly, all the messages are also viewable in your Admin Console, helping you to keep better track of leads from your website and making sure things don’t slip through the cracks. We know you’ll benefit from this new addition, please don’t hesitate to contact us if you have any feedback or questions! The EAAB have introduced a new PrivySeal Certificate system to make it easier for the public to see if an estate agent is registered with the EAAB. It is a seal of authenticity that must be displayed on emails, websites and social media. You will have received an email from the EAAB telling you this and explaining what to do to get your PrivySeal. There is also more information and instructions on their website. You can sign up for your PrivySeal Certificate on the PrivySeal website. From the web-box side, we have made it possible for you to insert the PrivySeal(s) onto the relevant pages of your website. If you have a Lite site, in your Admin Console, you’ll find a new Settings tab with a text box to copy and paste the code from the PrivySeal website into. This will add the PrivySeal to the Contact Us page. If you have a Standard site, in your Admin Console, copy and paste the code from the PrivySeal website for each agent to their profile. This will create a link to the PrivySeal wherever the agent details are displayed. The PrivySeal summary will open in a pop-up if you click this link. If you would rather have the actual PrivySeal image displayed instead of the link please contact us and we’ll change it for you. If you need help updating your email signature with the new PrivySeal we will charge between half an hour to an hour (email client dependent) at our normal rates. Please feel free to contact us for this or any other related help! We have made it much easier for visitors to look through your properties by adding the previous/next navigation to the Property page. We like that the links are useful and prominent but don’t add clutter to the page! We are very excited to have our new Gumtree feed setup and believe this will make a big difference. We have negotiated that you can feed 5 properties through, from your web-box website, for free without having to sign-up with them. 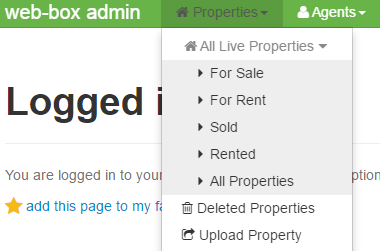 In your Admin Console you can choose any 5 or you can simply click “feed 5 newest properties to gumtree”. 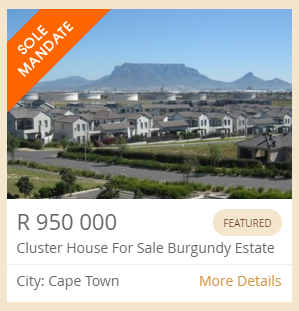 You can feed more properties by signing up and paying Gumtree as per their Rates Card. If you decide to stick with the 5 free offering we recommend that you at least do the 72 hour Bump Ups for 59 p/m. The Bump Ups ensure that your properties stay near the top of the ever increasing list of properties displayed. 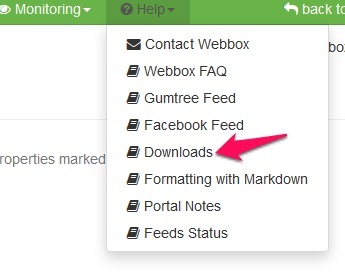 For more information on Gumtree read the Gumtree Feed faq under the Help menu in your Admin Console or view a copy here. 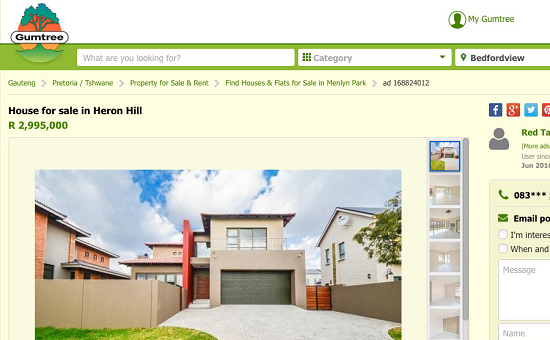 Unfortunately OLX have migrated to a new system which does not have a property feed. They say they are working to fix this and we will let you know as soon as they have done so, but until then this feed is down. 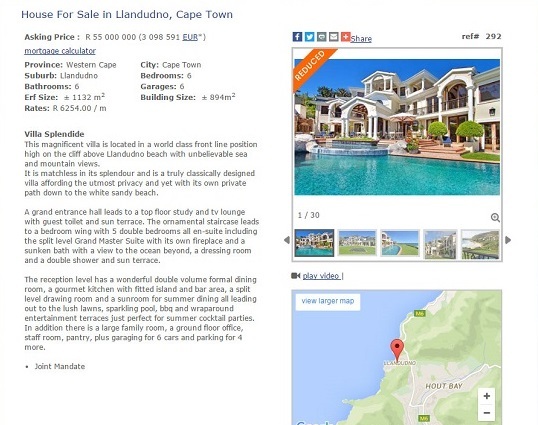 Adsdeck have also stopped accepting properties as they say they are shutting down completely. We do understand that the feeds are important to you and we are working hard on setting up new ones. We hope to have Immo Africa up in the next couple of months when their new system build gets finished off. Enjoy trying Gumtree and please contact us if you have any questions or feedback. 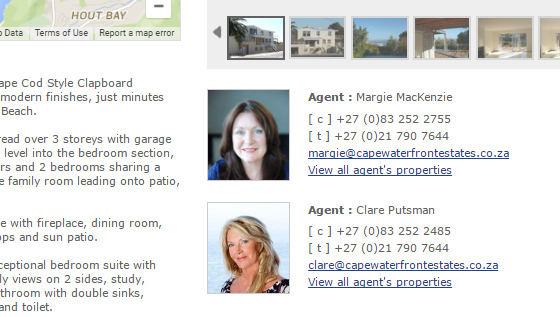 We’ve increased the size of the agent images on the property page and have also enabled them for all websites! We know many of you have been requesting this and we’re happy to give you what you asked for. 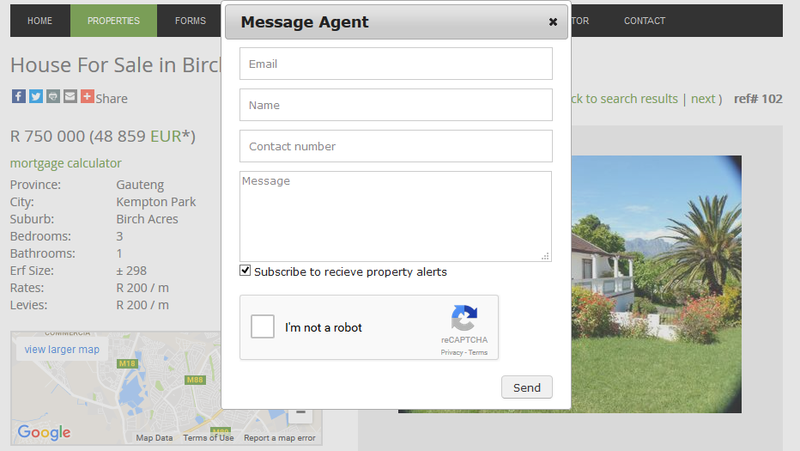 If you don’t want agent images to appear on your property pages, please let us know and we will disable this. A well cropped, professional picture of the agents makes a big difference. We strongly suggest you ensure that you have these. If you need some help in cropping the images please send them to us and we will do this for you. Enjoy it and please don’t hesitate to contact us with any feedback or questions! As you may have heard Property Junction has become Hozi Homes. This means that from 1 June 2016 the Property Junction website will no longer exist and will be replaced by the Hozi Homes website and brand. Your properties will automatically be moved across to Hozi Homes and will continue to feed to the new system in the same way as before. Not only will your properties be listed on Hozi Homes, but also on the Local News Network, which is a community newspaper website network with a combined online audience of over 2 million unique viewers per month. To see how your properties look on these websites click the image links below. 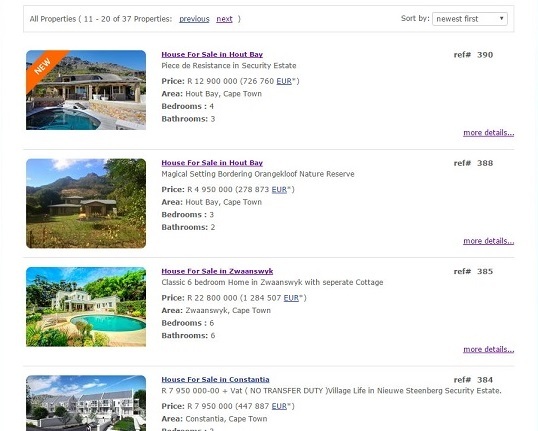 A local news network website showing link to hozi properties. Click to view. All the Local News Websites can be seen here. Hozi Homes is setup on 72 of them. Currently it is still free to advertise listings on the Homes Network, but slowly over time a paid model will be introduced. A local representative of the Homes Network will contact you in due course to discuss this. We are very excited about your properties being displayed on all these new websites! Please don’t hesitate to contact us if you have any questions. Have a great week. We’re really excited to tell you that we’ve increased the picture size on both the properties page and the property page on your website. We love the more visually striking look and feel and think you’ll love it too. Enjoy! And please don’t hesitate to contact us to let us know what you think! We’re excited to let you know about 3 smaller changes we know you’ll enjoy. 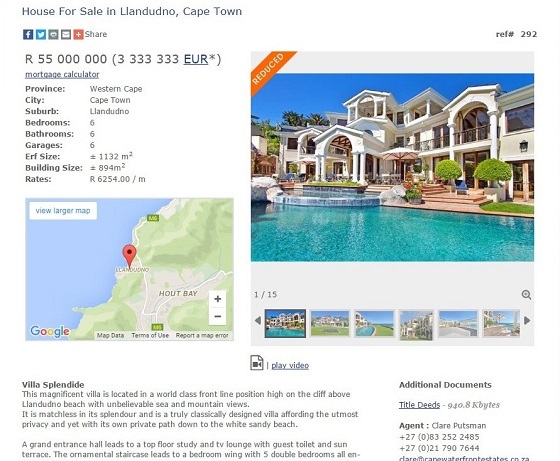 First up we’ve created the ability to display a banner on your featured properties. This one needs to be enabled by us, so if you don’t have it, and would like it enabled, please contact us. Next, we’ve renamed “Plot” to “Vacant land / plot” as a property type in the Admin Console. This is to match the Property24 property types and should help with clarity and listings. Lastly, a 'More Details' text field has been added to the Property Alerts popup form. 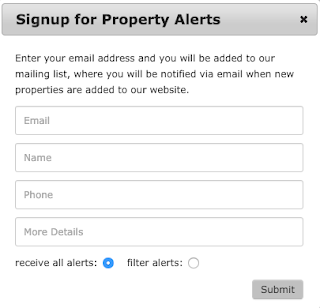 People signing up to receive your Property Alerts can now specify any additional information they want to - the area they are looking to buy/rent in, number of bedrooms required etc. Enjoy the latest enhancements, and feel free to contact us if you need anything. Your feedback helps us serve you better. 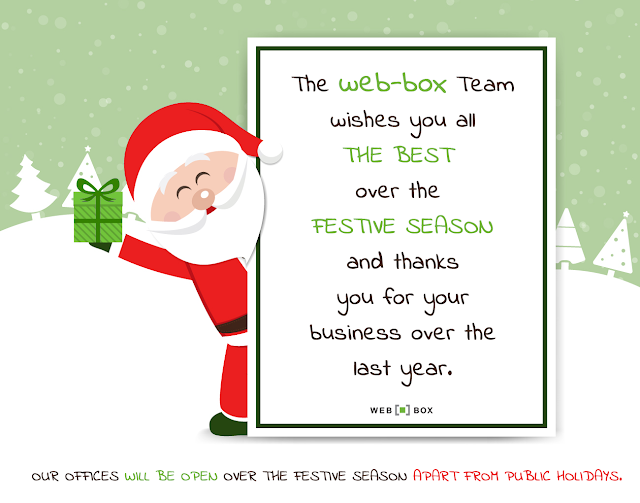 That’s something we really believe at web-box and that’s what our latest update is all about. 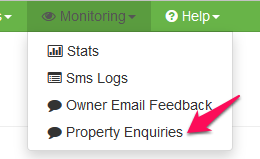 We’ve taken your feedback about how you were having difficulty finding ‘sold’ and ‘rented’ properties in your admin console and have made it awesomely clear in our updated ‘Properties’ dropdown. On top of better usability we think it is also super stylish. This update will automatically go live in your web-box admin console, so go take a look and let us know what you think! New layout, new features, new possibilities! 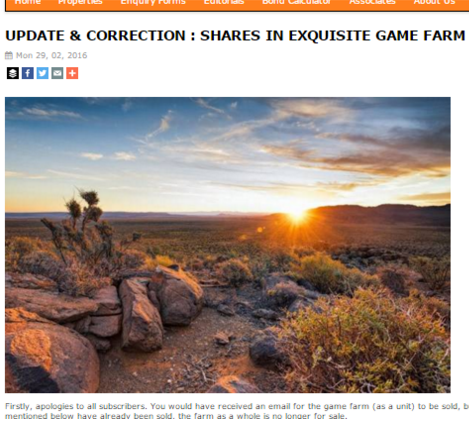 That's what our new article/newsletter page has been given. This option is not automatically enabled on all our websites, so you may not have seen it before, but if you have been using it you will now love the new look and feel. Adding articles/newsletters to your website is still done the same way through the admin console. You can now however add 1 picture - either an entire page (brochure) or simply an image to enhance your text. Social Media links are also now included, and by using these you can have an incredible effect on your exposure! 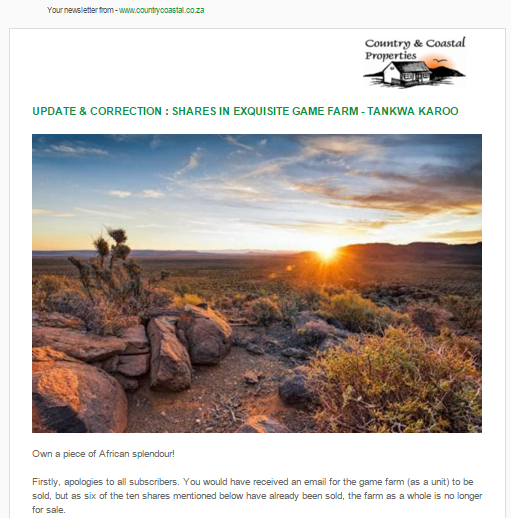 When you send your new article/newsletter to your subscriber list you will also see an updated fresh and professional email template. Never used the article/newsletter feature? Contact us to enable it and you can give it a go! Haven’t used yours in a long time? Go take a look and test it out. We think you’ll be impressed. We’re excited to show you our latest website update because it’s always great to take something old and revamp it to improve usability. This is not simply changing things for the sake of it but rather using good practice to make life a little simpler. Importantly, the functionality is the same, but we’re pleased with the look and feel and increased ease of use. This upgrade will go live on all our websites by the end of this week. Enjoy and please contact us if you have any feedback or questions.